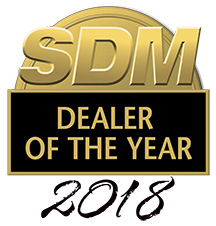 Jacksonville, FL (December 18, 2018) – Bates Security today announced that it is SDM Magazine’s 2018 Dealer of the Year. 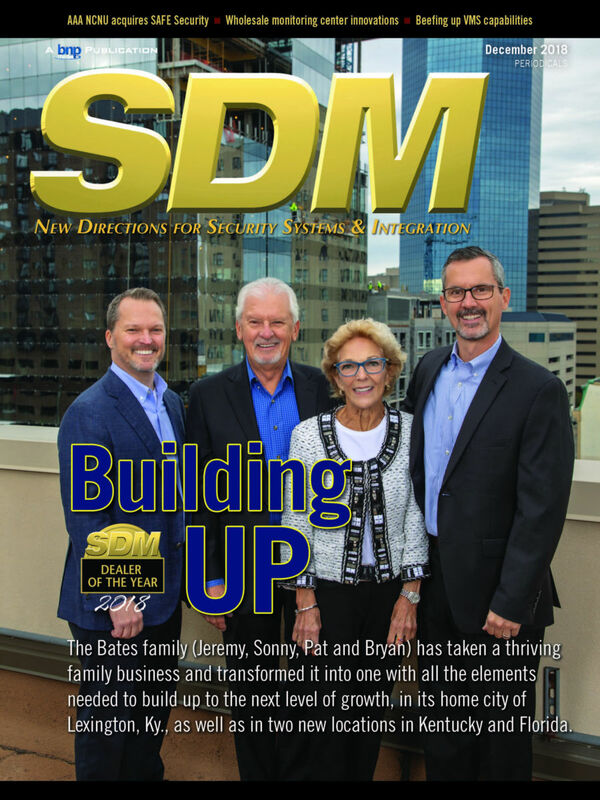 SDM, the leading security publication in the US tapped Bates among over 12,000 security dealerships nationwide. 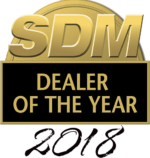 The Dealer of the Year Award recognizes leading innovation, industry best practices, and notable growth and accomplishments in the security dealer industry. “In our industry, this award is the Best Picture Oscar,” observed Bates President Jeremy Bates. “What’s more, we are by far the smallest company to win in the last decade. Last year’s winner was a $4 billion company with 18,000 employees. That’s really gratifying for a family business like ours,” Bates added. Bryan Bates, Bates Security's Vice President and GM of the Jacksonville branch, and his brother Jeremy followed their parents, Sonny and Pat Bates, in running the company established in 1984 that today boasts annual revenues of nearly $15MM and over 90 employees. Bates growth over the last decade has been both organic and through acquisition. The company has a strong presence in Kentucky, with over 10,000 households and major commercial and government clients. The company has grown into Northern Kentucky, has made two acquisitions in Eastern Kentucky and has a growing division in Jacksonville, Florida. Growth has been assisted by both innovation and customer service. Former Police Chief and Public Safety Commissioner for Lexington Ronnie Bastin noted, “Their founder Sonny was a policeman himself. They understand police priorities and have earned our trust. A good example is their audio verified detection systems, which eliminate most false alarms let us know exactly what’s going on at a site before we get there.” Bates recently won an award for its security system at the new Frederick Douglass High School. “Bates saw the need to fully integrate communications between our security team and law enforcement in real time. It’s been a huge improvement in effectiveness and response,” said Wayne Brumfield, Electronics Foreman of Fayette County Schools. Based in Lexington, Kentucky since 1984, Bates Security is a locally owned & operated full service electronic security expert for residential, business, educational, and industrial customers in Kentucky and Florida. Services include security systems, access control, video surveillance (cameras), fire detection and EVAC systems, sprinkler monitoring, fire inspections, elevator monitoring, medical alert and more. In 2011 Bates received the Installer of the Year Award from Security Sales & Integration Magazine, the Small Business of the Year Award in 2013 from Commerce Lexington and the 2018 Dealer of the Year Award from SDM magazine.